On November 3, 2015, the chemical tanker Elbtank Italy entered the yard for docking and overhaul. The ship departed under a new name and another owner, as well in a new livery. 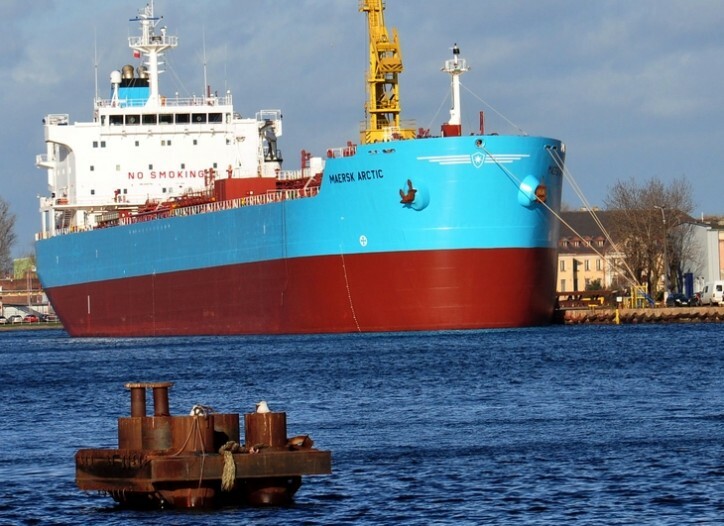 It is, by far, not the first time, that the ship sale-purchase was finalised during its stay at Remontowa Shiprepair Yard SA in Poland or at least visible signs of the transaction came out there. The ship under a certain name and ownership entered the yard, but departed under a new name and another owner, as well in a new livery. The ship, built in 2006 at South Korean yard Hyundai Mipo Dockyard, features 183,2 m length over all, 27,1 m beam, 11.21 m draught and 36 992 ton deadweight capacity. It's ex Rhine (until August 2007) and ex Ravi Spirit (until October 2008). Elbtank Italy was plying the Liberian flag and belonged to German, Hamburg based, owners TB Marine Shipmanagement. The extent of repairs on this ship covered cargo line trials, PV valves overhaul, overhauls of three systems of main engine, stern tube seal replacement, minor steel replacement works in two ballast water tanks, load tests on deck cranes and accommodation ladders. The whole hull of the docked ship was treated with maintenance and painting works, done with support from the yard's subcontractor, Mar-Tom. A new protective coating was applied on the cleaned hull, with the new paint colour, according to change of owners, and thus, the livery. The ship left the dock with well-known "Maersk-blue" on its sides. This reflects the change of ownership. The Elbtank Italy was purchased by Maersk division in Singapore. The change of ownership called for change of the ship's name, as well. After undocking, the ship spent a few days at the yard's quay. The new Owner commissioned the yard with a few minor repair works, such as repairs to one of the lifeboats, painting the new name of the ship on its sides and at the bridge, as well as placing a new funnel mark. Now the ship carries the name Maersk Arctic on its blue sides. Also the flag has been changed. The ship now plies the Singapore flag. Maersk Tankers is represented around the world, with 260 employees onshore and 3500 employees at sea. The fleet consists of around 100 vessels. Maersk Tankers is part of the Maersk Group, headquartered in Copenhagen, Denmark. The Group employs 89,207 people in around 130 countries and had revenue of USD 48 billion in 2014.